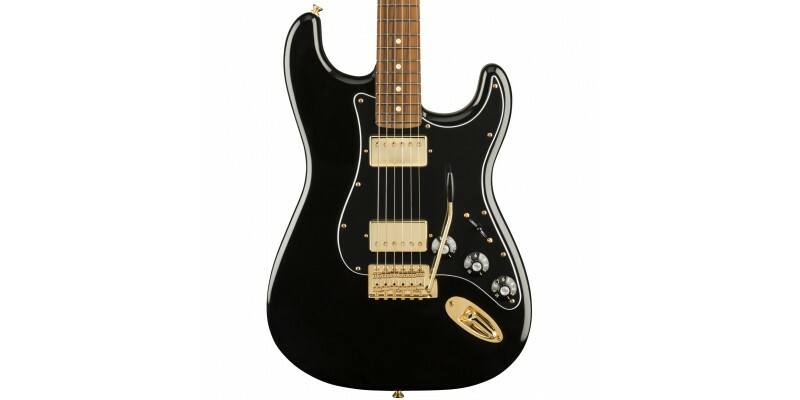 The Fender Limited Edition Mahogany Blacktop Stratocaster HH is here presented in Black with Gold Hardware. Blending the power of two high output alnico humbuckers with a mahogany body, the result is tone like no other Strat, combined with that still-familiar Strat feel. The black headstock with gold Fender logo perfectly complement the body and hardware colours, while skirted amp-style control knobs further contribute to the guitar’s custom shop look. If you’re looking for a Strat with a difference, this could be the one! 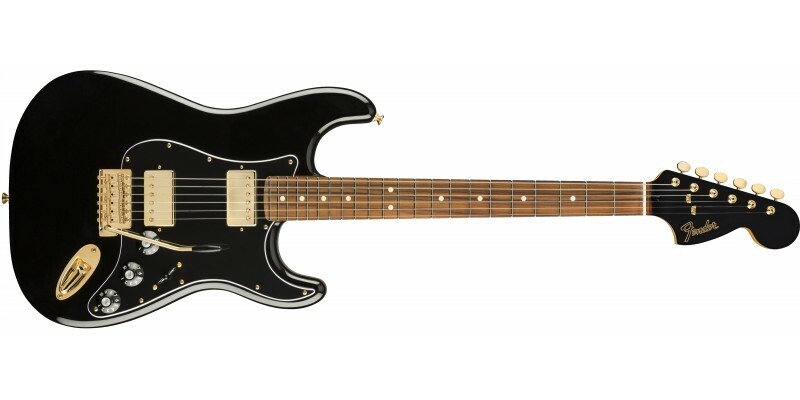 The Fender Limited Edition Mahogany Blacktop Stratocaster has been produced exclusively for Fender EMEA. Combining striking visuals and powerful pickups, the end result is a unique and inspiring instrument. The unique Mahogany body is a step away from the Fender norm, producing a warmer tone than Strat players will be accustomed to. Gold vintage style hardware is more than eye-catching, while High Output Alnico Humbucker Pickups provide effortless overdrive and sumptuous tone.